When your loved ones are in their late golden years, they will tend to have more needs and would require assistance and support when it comes to activities in their daily lives. This is because dexterity and strength levels are not as optimum as they used to be, and they may experience lapses in their memory, not to mention, old age and lifestyle changes went through may bring about illnesses. Placing your elderly loved ones in a retirement home or shared residential facility is an option many choose often. This is because this option allows elderly individuals to be given the 24 hour care, safety, monitoring, and assistance they need in their day-to-day lives. Although this is a good option, you may also want to consider another choice—one that allows your senior loved ones to be given the same quality, 24 hour care they need, only in the comforts and familiarity of their own homes. 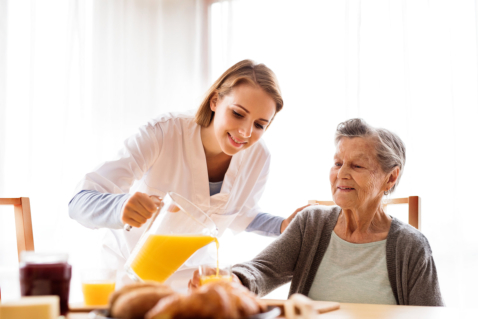 Home Health Preferred, LLC is composed of a team of exceptional and trained caregivers and skilled nurses that aim to give your elderly loved ones the care, attention, support, and assistance they need and deserve. Our services vary and are each personalized according to the needs of the client, and our team of caregivers and skilled nurses make sure to provide these services with genuine care and efficiency. As someone who deeply cares about your elderly, you, of course, would be worried about allowing your senior loved ones to live on their own. Due to some circumstances, though, you also are not able to let them live with you—this may be due to small living spaces, the high-risk architectural design of your house or your elderly loved ones just don’t find your abode a comfortable one to them. Because of this, you may tend to consider placing your elderly loved ones in a retirement home. Thankfully, with Home Health Preferred, LLC, you now have an option for long term care in Denver, Colorado which will give you the peace of mind, and your senior loved ones the care and assistance they need right in the comforts of their own abode. So if you are seeking quality and efficient home care for your elderly loved ones’ needs, trust us at Home Health Preferred, LLC. With services such as homemaking, personal care, and even skilled nursing in Denver, Colorado, we help you give your senior loved ones the quality of life they deserve. Whether you are looking for a skilled nurse to handle your elderly loved ones’ medical needs, or a caregiver to assist your loved ones in their activities of daily life—personal, or for the house—we got you covered, and we assure you of only the best home health care you and your loved ones deserve. Talk to us today at 720-370-6772 to know more about our 24 hour care services which can help improve your elderly loved ones’ lives. This entry was posted in Home Health Care and tagged Caregivers, Home Health, retirement home, skilled nurses. Bookmark the permalink.